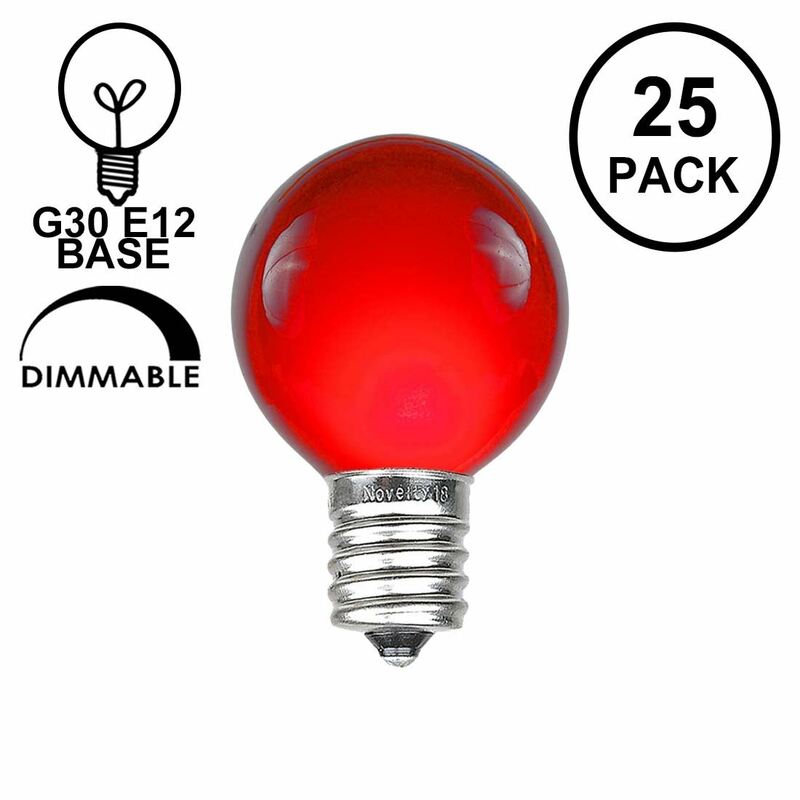 Our G30 globe shaped bulbs provide a different, more festive look than traditional Christmas bulbs. 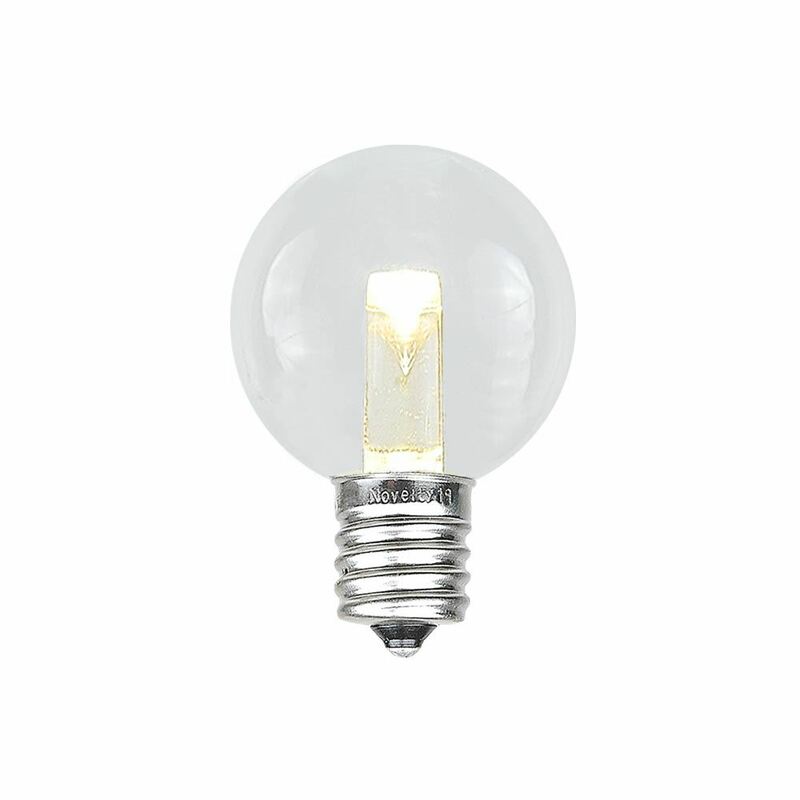 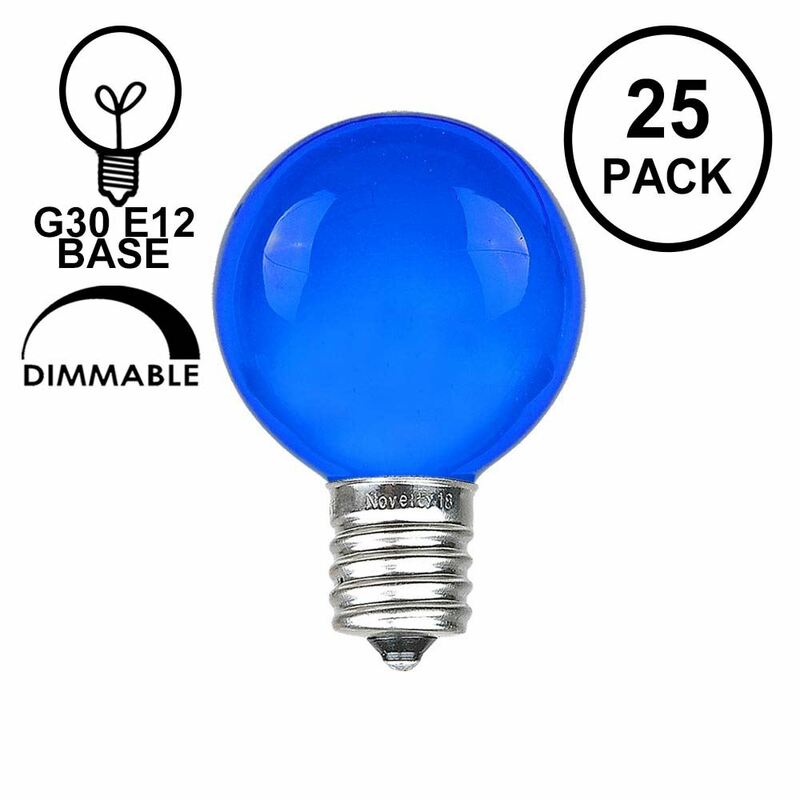 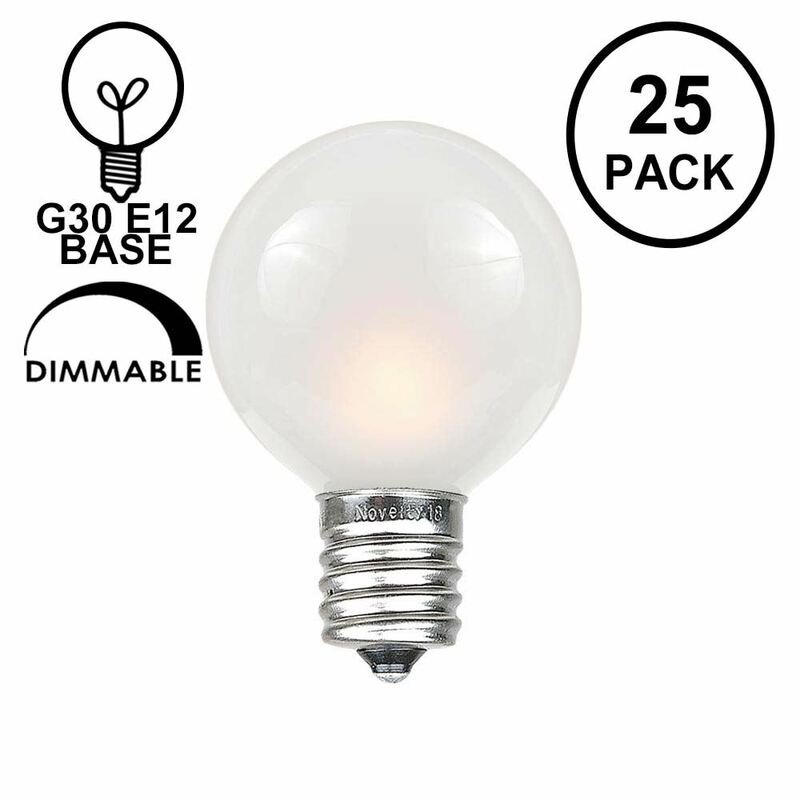 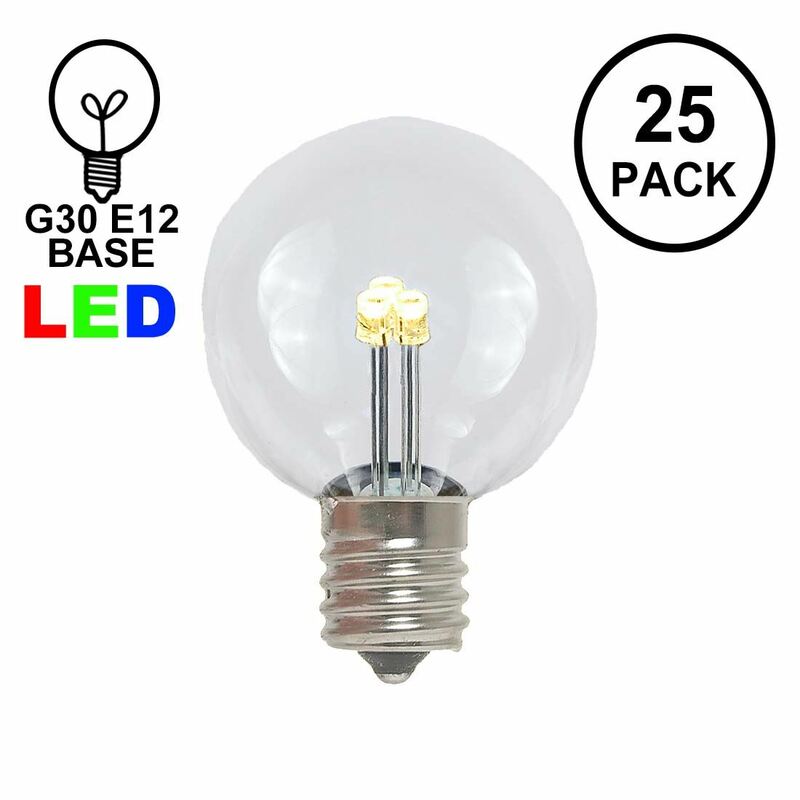 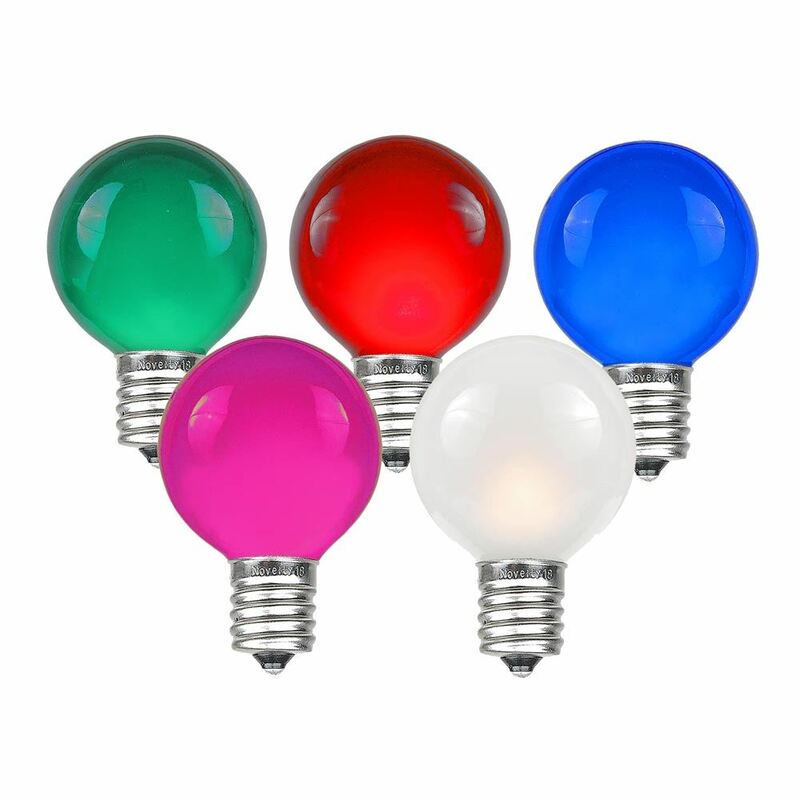 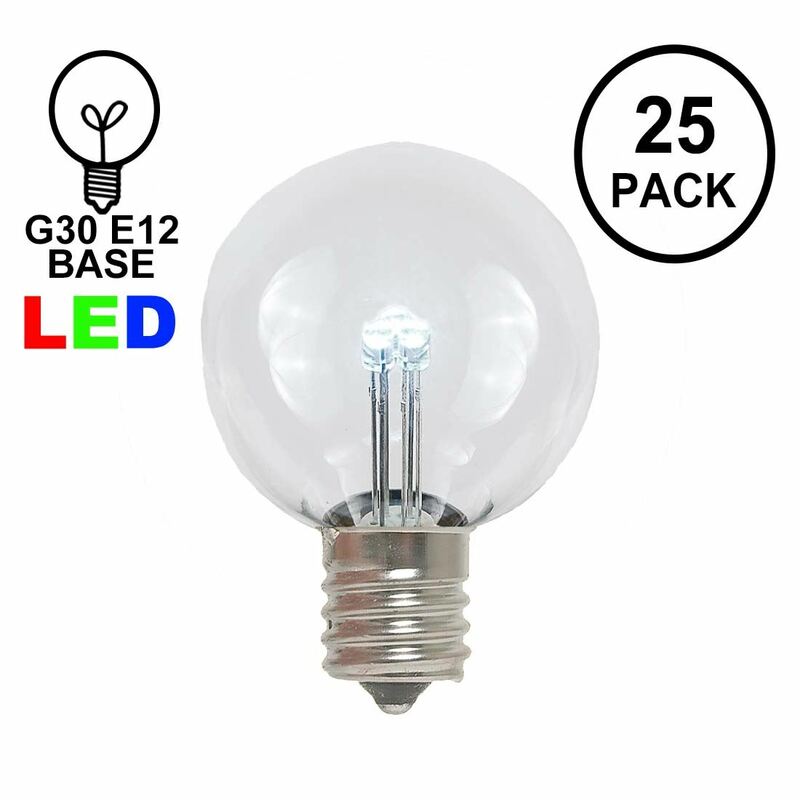 These 5 watt round G30 bulbs measure 1 1/4" in diameter and screw into C7 Stringers, Heavy Duty Candelabra (e12) Stringers, or Vintage e12 Twisted Wire Strings with Bakelight Sockets . 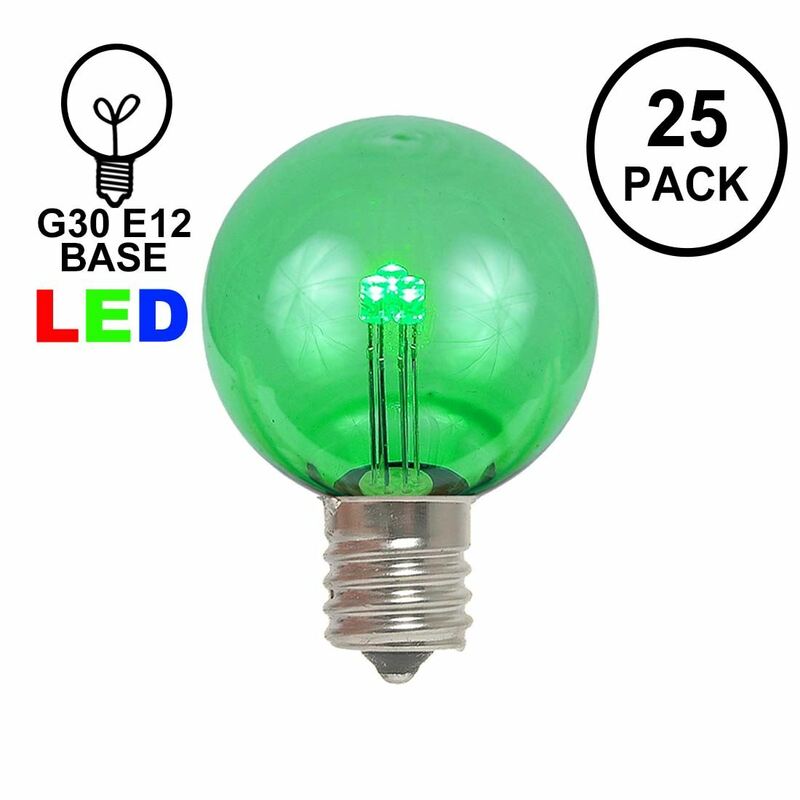 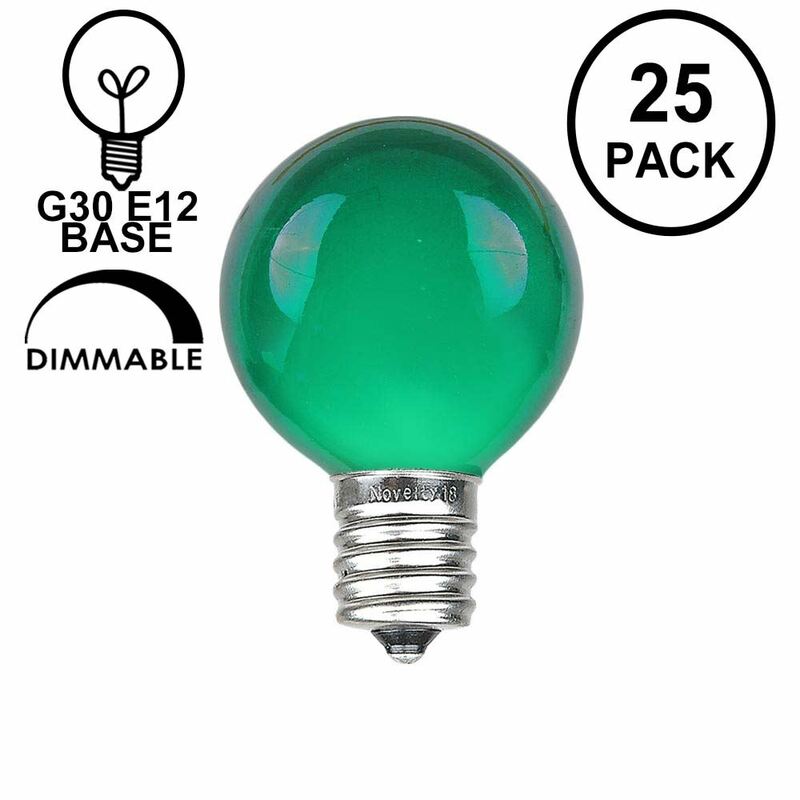 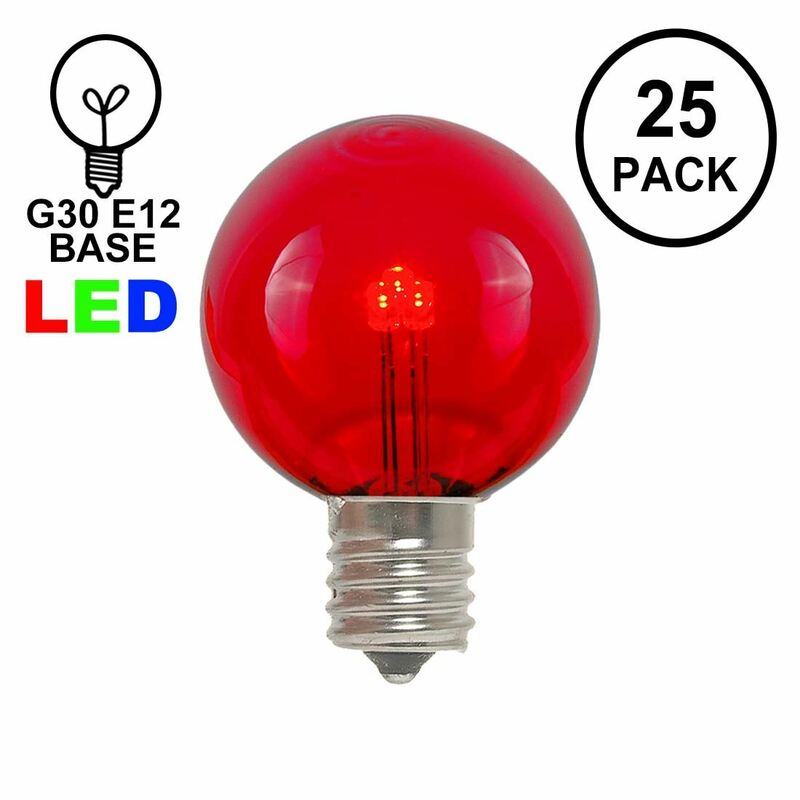 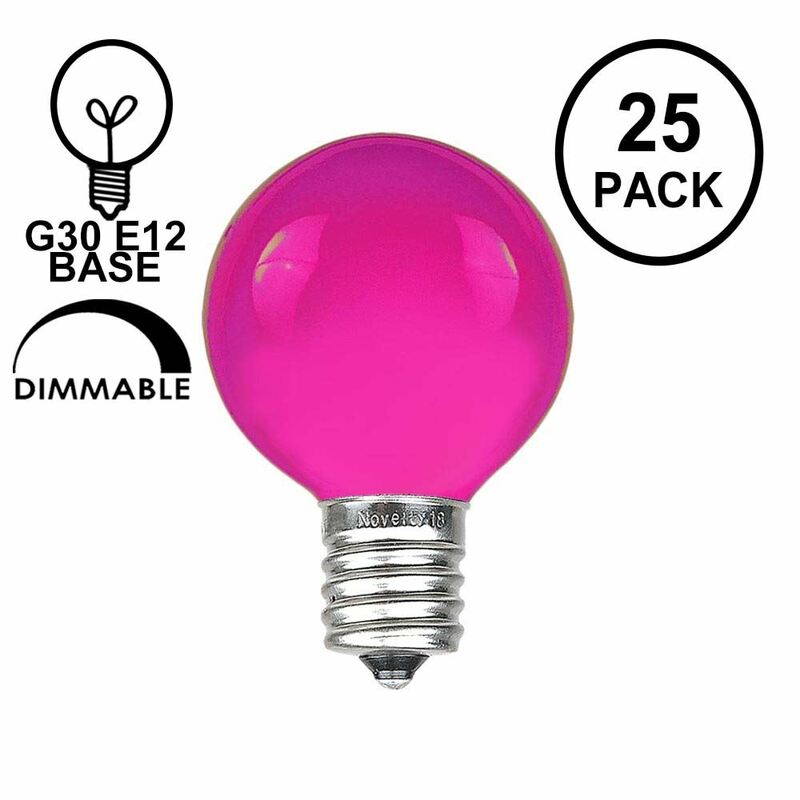 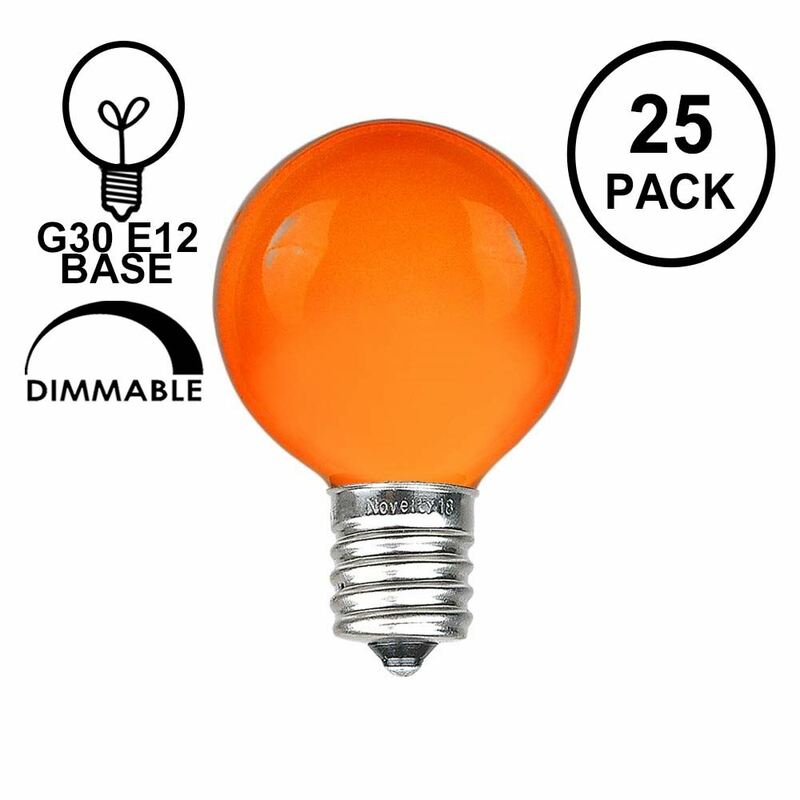 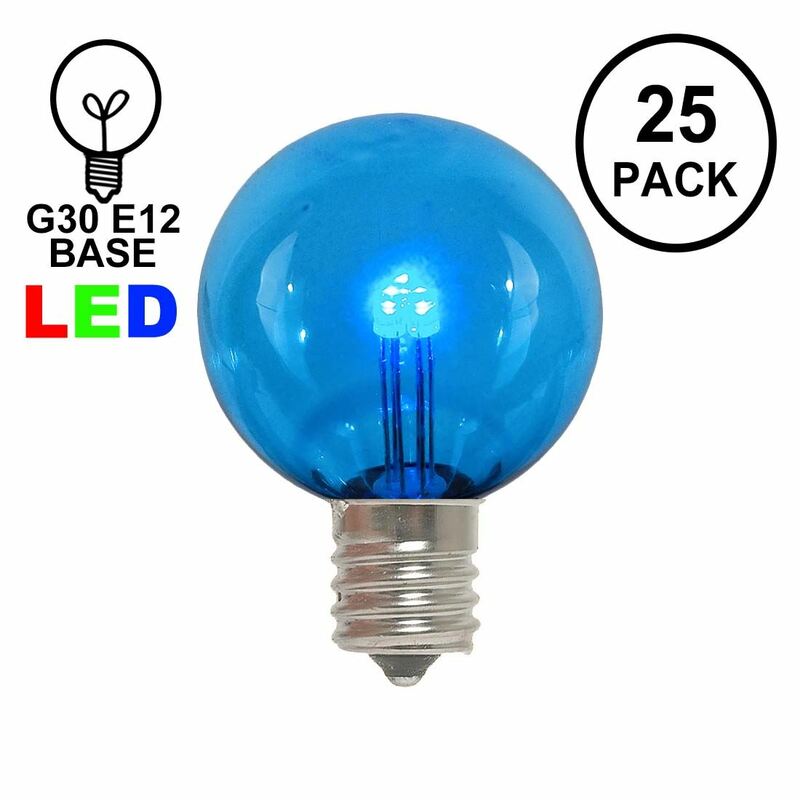 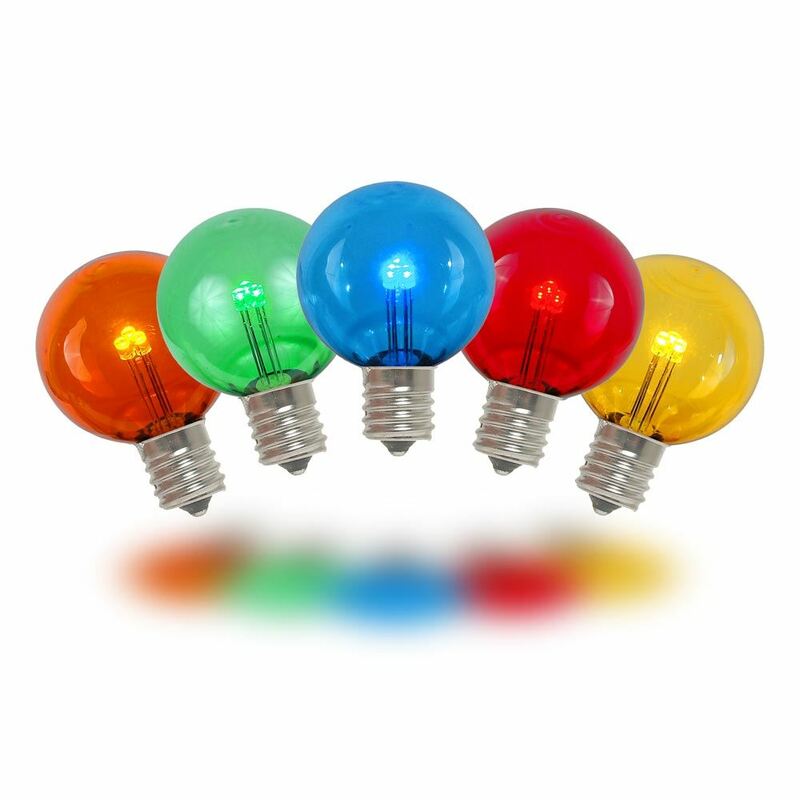 These are available in Clear, Satin (Frosted) White, Red, Blue, Green, Yellow, Amber, and Purple.You may also be interested on our G30 Globe String Light Sets. 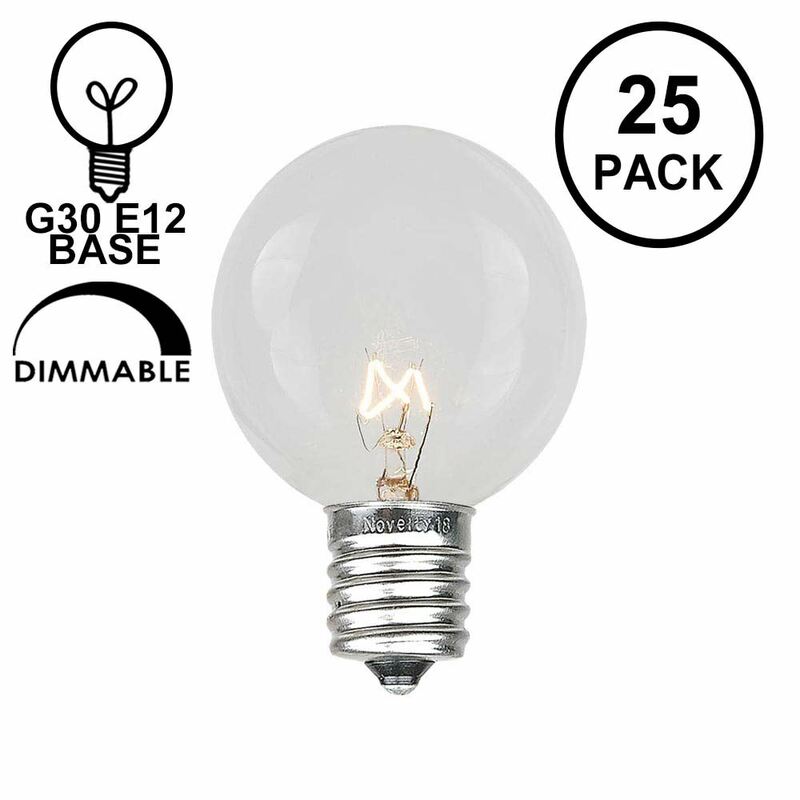 Not sure which size round bulb you need? 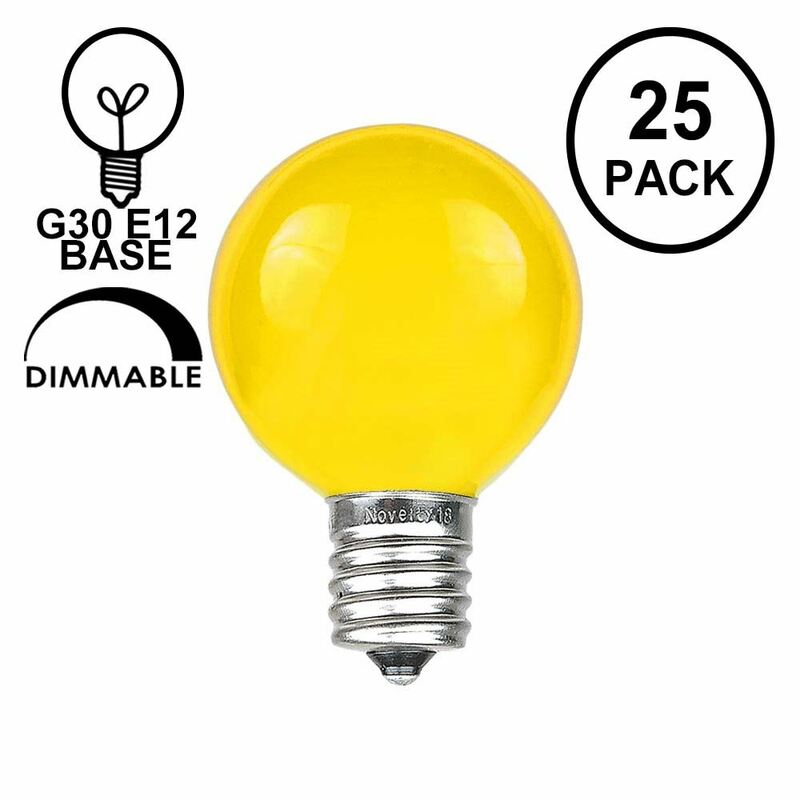 See our comparison of all of our globe shaped bulbs.